The Russian authorities may start investing in Bitcoin as a measure to avoid US sanctions. Bitcoin could be used as a reserve currency. Sanctions from the US have hit the Russian ruble, but reports say the Kremlin is taking steps to reduce the impact with cryptocurrency. 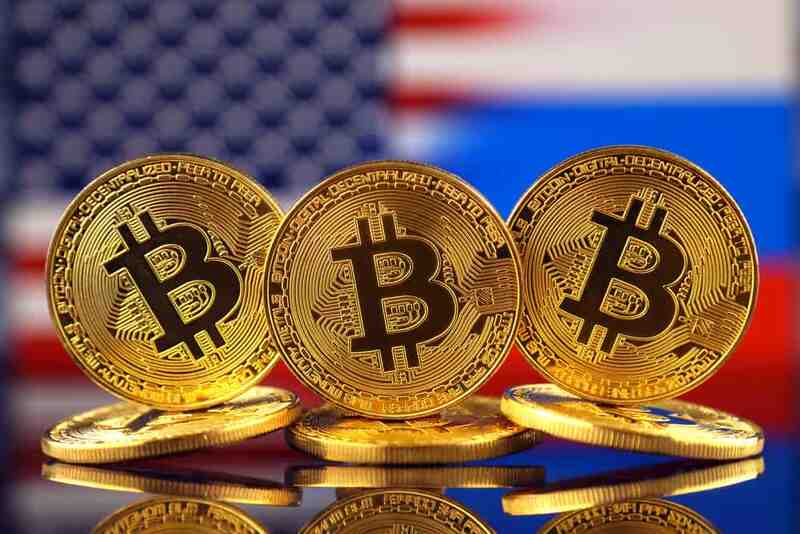 According to Vladislav Ginko, a Russian economist with ties to the Kremlin, the government is planning a Bitcoin investment to replace part of its US dollar reserves. Is the Russia-US Relationship Worse? Russia’s relationship with the US became bitter after the poisoning of their former military officer Sergei Skripal. The US sanctions started soon after, hitting the Russian fiat currency. Ginko, who is an economist at the state-funded Russian Presidential Academy of National Economy and Public Administration, notes that Bitcoin will be useful for diversifying financial reserves in an effort to reduce the effect of sanctions. He said that the de-dollarization of Russia is being done to protect the national interests of the country as the US could interrupt payments for Russian oil and gas. He also stated that the investments in de-dollarisation could be as high as $10 billion. He says President Vladimir Putin has shown interest in digital assets over recent months. According to Ginko, the crypto market in Russia is sizeable and worth about 8% of the country’s GDP. He noted that the country’s official foray into Bitcoin could start in February. What Could Be Russia’s Plan and Its Impact? The authorities have already started de-dollarization by improving its euro, Japanese Yen and Chinese renminbi holdings in recent times. The central bank of Russia has not made any official claims about Bitcoin investment yet, but it noted that the bank publishes foreign asset management information with a six months lag, reports The Telegraph. eToro’s senior market analyst Mati Greenspan believes that the Russian government has an interest in doing this and the state could purchase almost a sixth of the supply of the world’s largest cryptocurrency. Greenspan said that the Russian buying spree could make the price of Bitcoin go up. The Russian government may not be able to open an account with a crypto exchange so they could set up an intermediary crypto and exchange it for Bitcoin. The new crypto could be a utility token offered by a broker like Sberbank which is a state-owned bank. Note that Vladimir Putin met Vitalik Buterin, the Russian founder of Ethereum in 2017 and again in recent months to discuss the possibilities in the crypto sector.